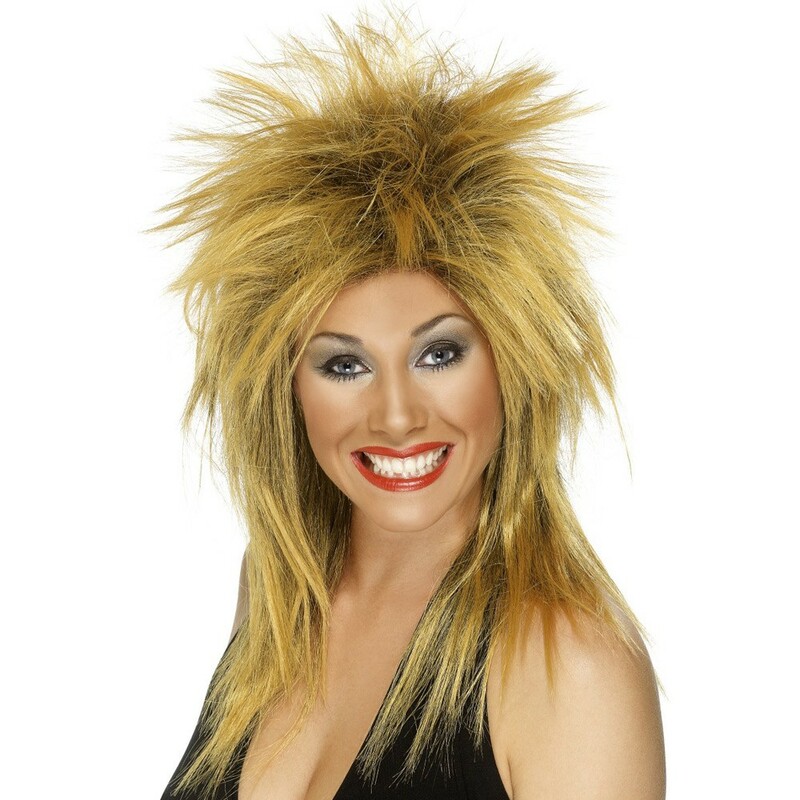 A Two Tone Rock Diva Wig including a long ginger and black wig with a Mullet style – Ideal for a Celebrity theme, a Pop Star theme, or any fancy dress occasion! Perfect your Rock Chick look with this fantastic Two Tone Rock Diva Wig. This Two Tone Rock Diva Wig comes complete including a ginger and black wig with a Mullet Style. This wild ginger and black Wig features a mullet style that will be sure to make you stand out from the crowds! Perfect for a Rock theme, a 80s theme, or any fancy dress occasion, this Two Tone Rock Diva Wig will be sure to add a to impress no matter what the occasion! So step back into the 80s with this brilliant Two Tone Rock Diva Wig. A Two Tone Rock Diva Wig.